Today’s news review looks at coverage about selective schools. 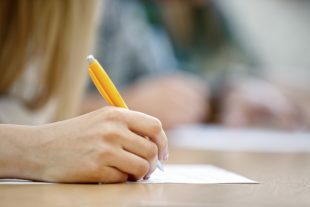 The Fair Education Alliance has teamed up with the NAHT, ASCL and Teach First to survey members on grammar schools. The results showed that 80% are against the plans and a similar proportion say testing at age 11 isn’t a good indicator of future ability. Their key concern is that grammar schools are not good for social mobility. The story has been picked up by Schools Week, the TES, the BBC, the Independent and others. We are clear that our consultation will look into the issues associated with selective education in the days before it was phased out. This includes making sure that grammar schools don’t discriminate against pupils from disadvantaged backgrounds and that the options for pupils who don’t want to go to grammar school or don’t pass the entrance test provide them everything they need to help them get on in life. For more information on the Building a School System that Works for Everyone consultation click here.